Step into a mystical fantasy realm alongside the most overpowered, unpredictably funny wizards ever to open a spell book – and work together to banish evil from the magical world of Midgard. With up to 300 spells to combine, upgrade and experiment with, you and up to three fellow wizards have all the elements you’ll need to face the forces of evil. But beware: friendly fire is always a threat to careless spellcasters, giving you a dangerous recipe for a bubbling cauldron of hilarity in your quest to annihilate your enemies. Be the wizard you want to be with all the robes, staffs and weapons you’ll need to customise your mystical character – and experiment with countless combinations of spells and special Magicks to harness the powers that suit your play style. 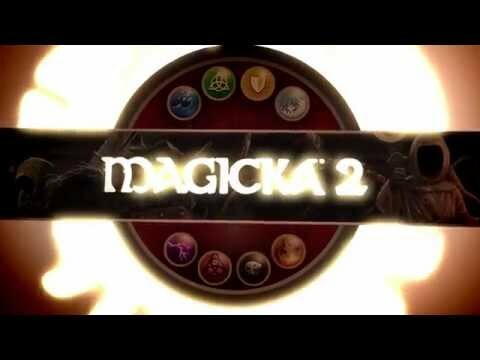 Connect to fellow Magicka 2 players to banish evil together with PlayStation Plus.